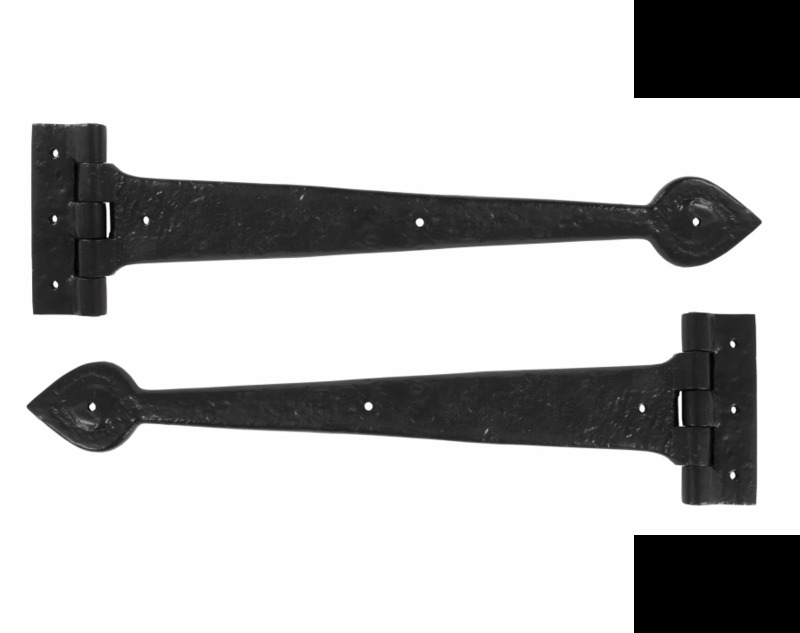 A high quality, antique black T hinge suitable for use on a variety of cupboards & wardrobe doors. Black finish allows hinge to be used in bathrooms or damp conditions. Sold in pairs with all necessary fixing screws.